Mark.Nine blesses us again with five tracks of his typical light and airy ‘ambient breakbeat’. The first track opens up with a wavering pad and a sci-fi audio sample that suddenly give way to a slow chill-out breakbeat and bassline. The rest of the EP follows suit, leaving us with a quiet and thoughtful feeling. 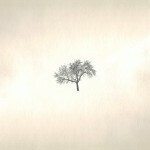 This entry was posted in Music and tagged Ambient, Breakbeat by bahgheera. Bookmark the permalink.